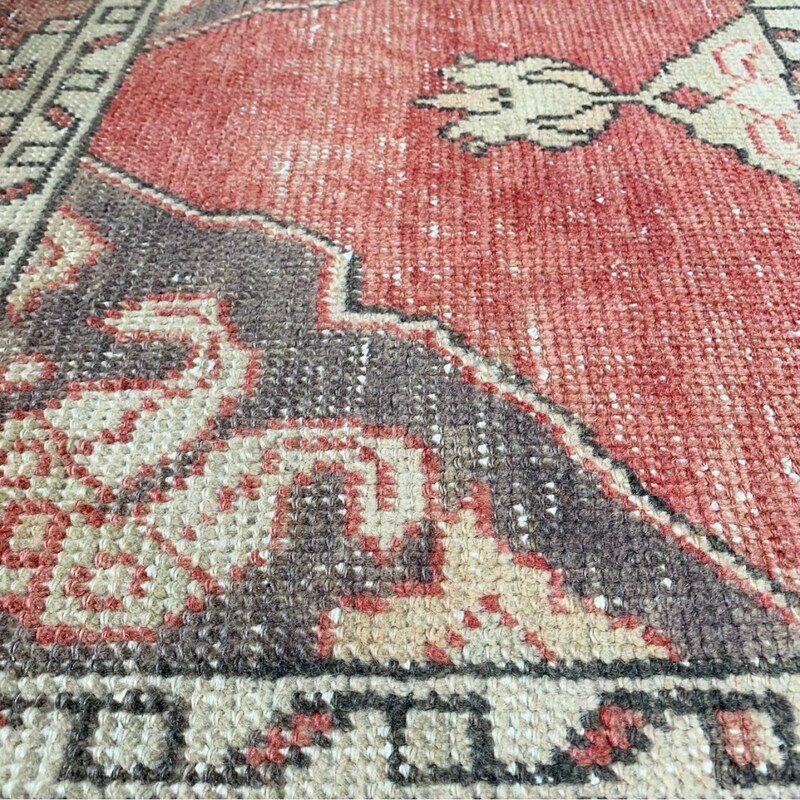 9’8” x 2’9” Low Pile. 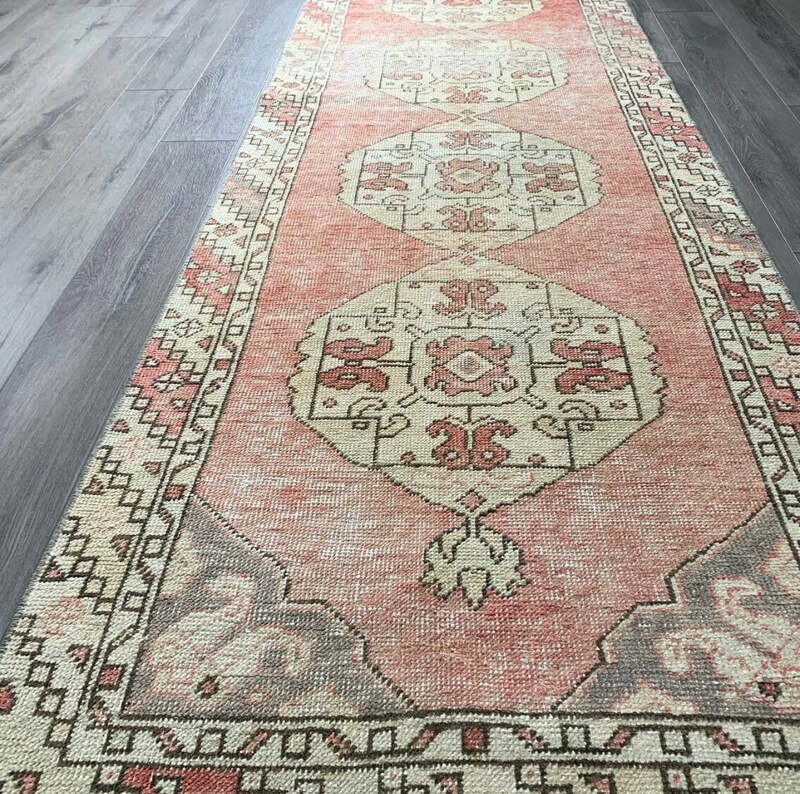 Beautiful medallion designs, rare soft peachy, reddy-pink hues and sophisticated taupe and beige highlights...and that glow! 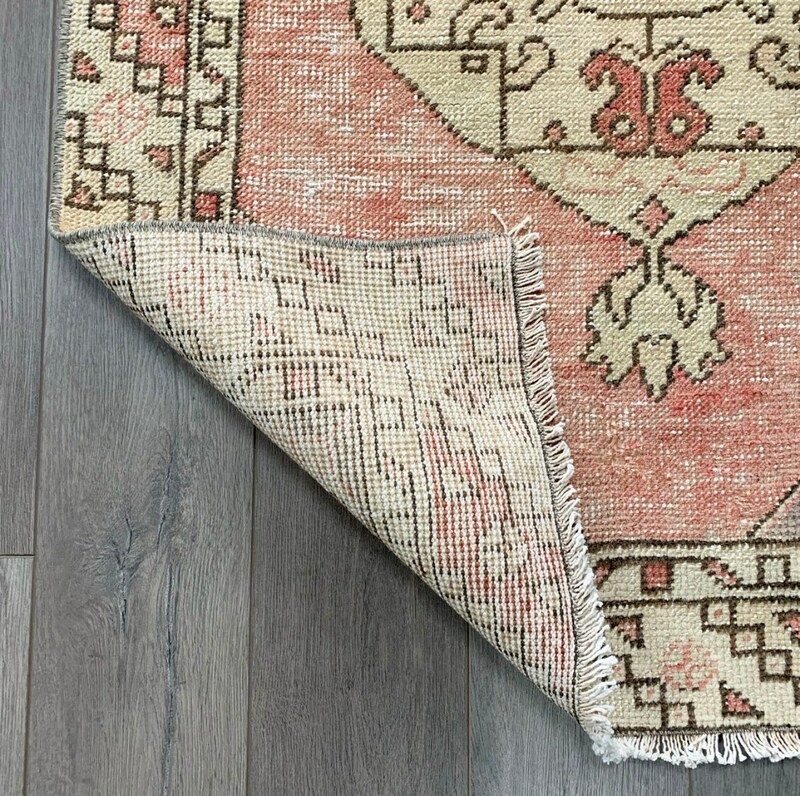 This vintage 1940s hand knotted Turkish Runner has it all. 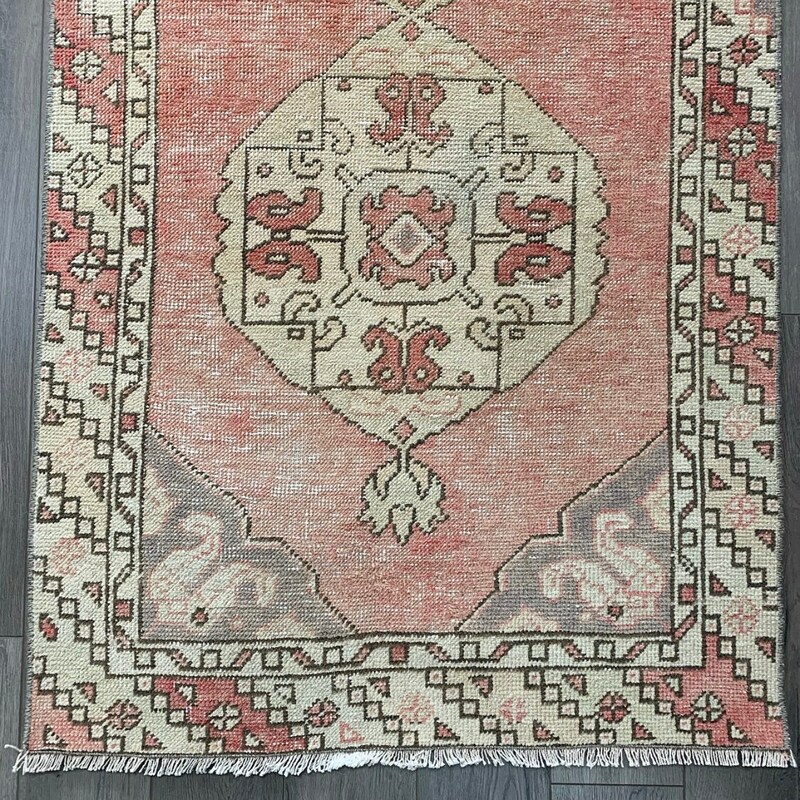 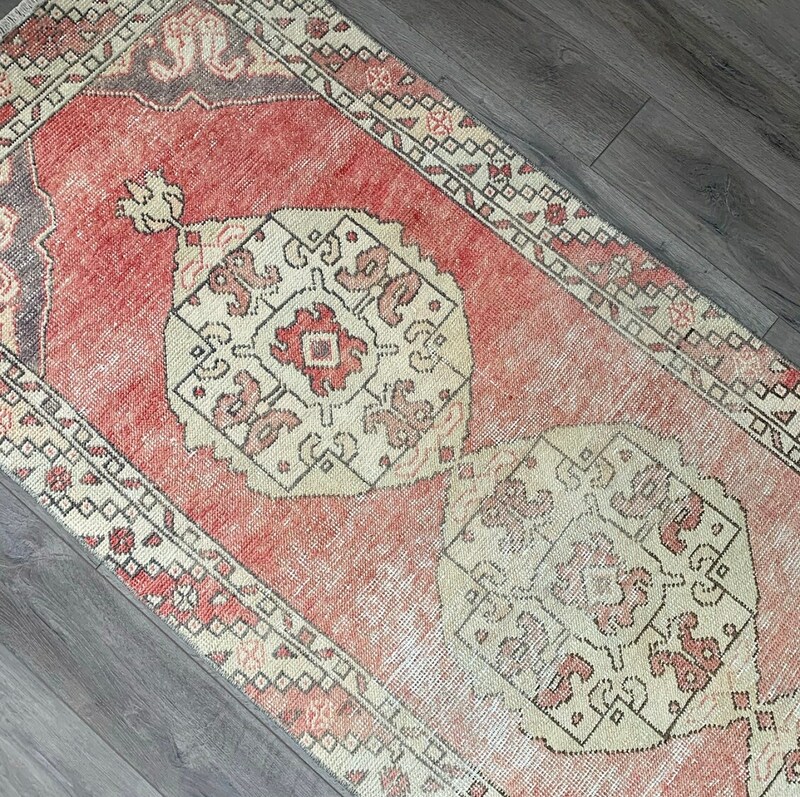 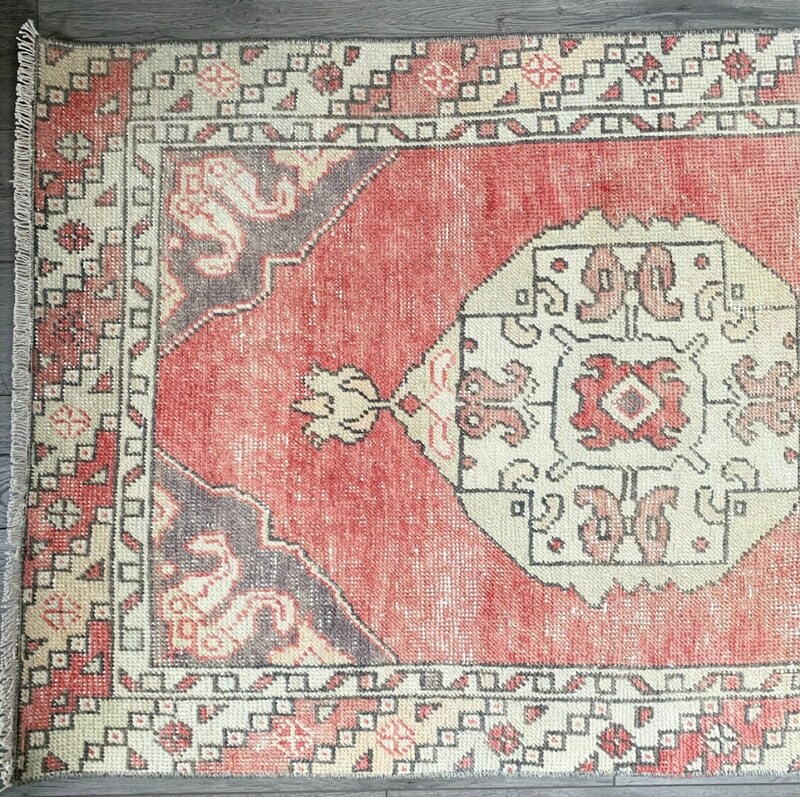 Turkish Oushak rugs are handmade and durable enough for everyday living. 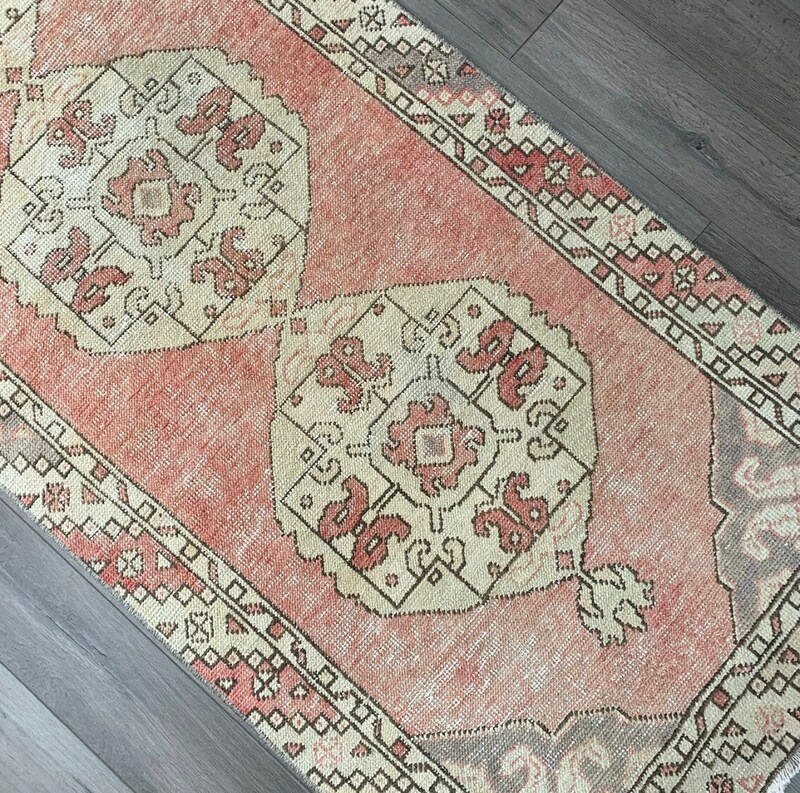 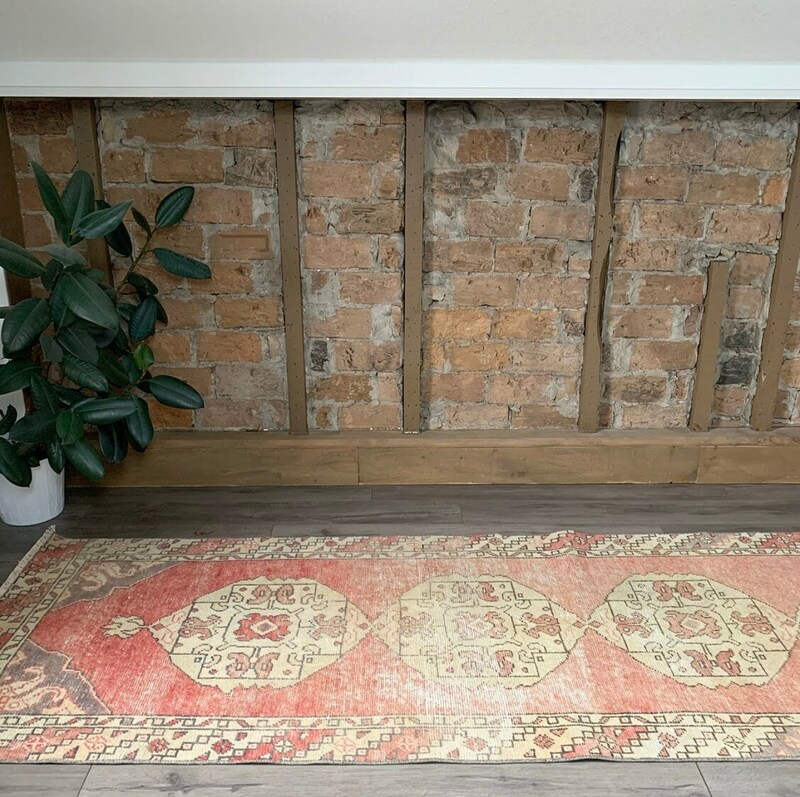 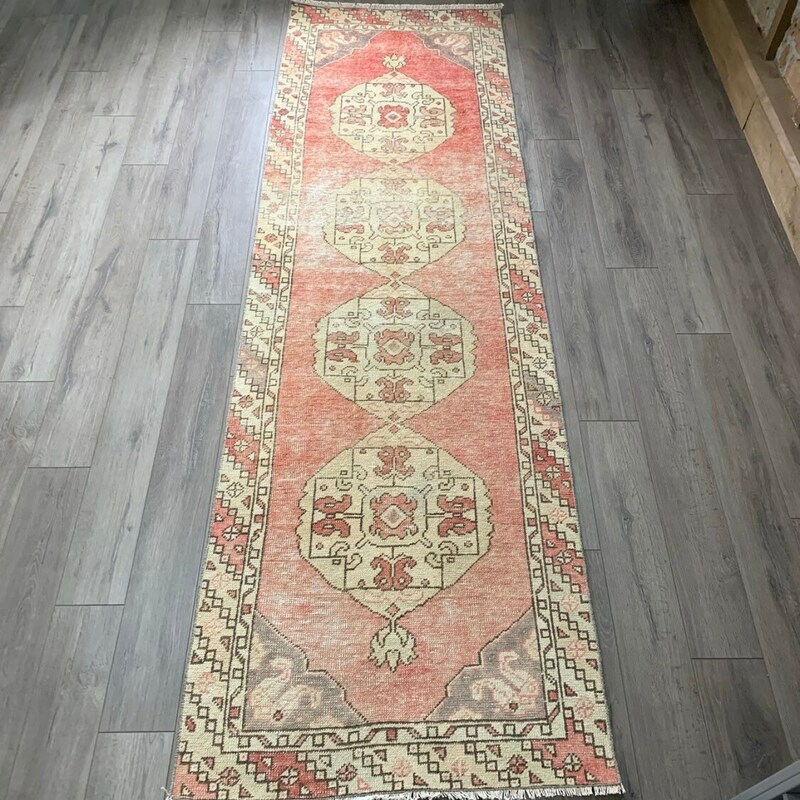 This rug would be great in a kitchen or hallway, and is a great fit for a family with pets or kids. 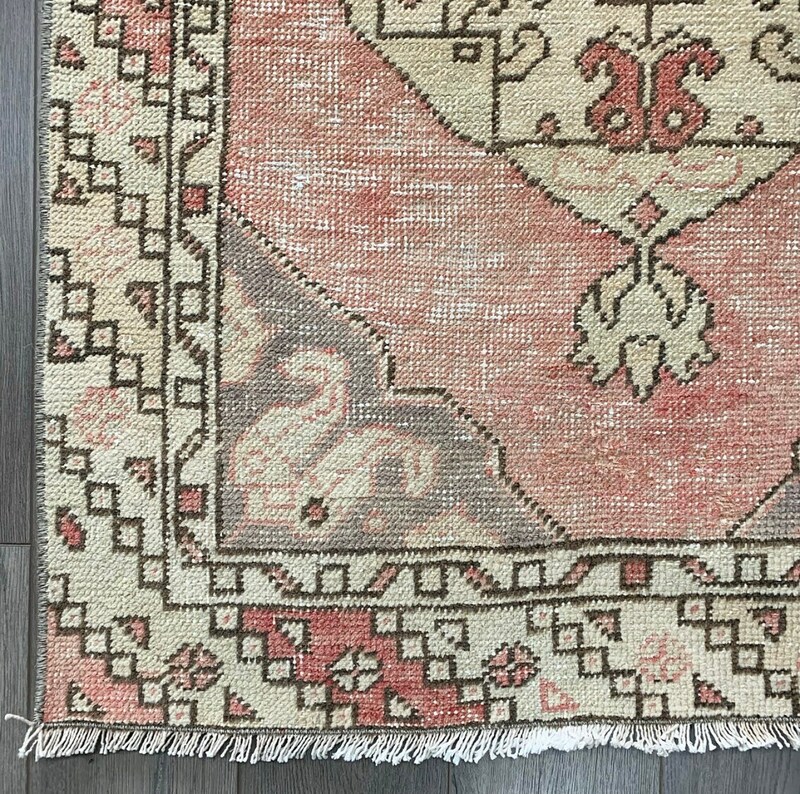 This is a heritage piece that will be with you for a lifetime.